AFTER being dramatically reunited over the weekend, Brendan De Salis and his dog Chloe are facing another hurdle. 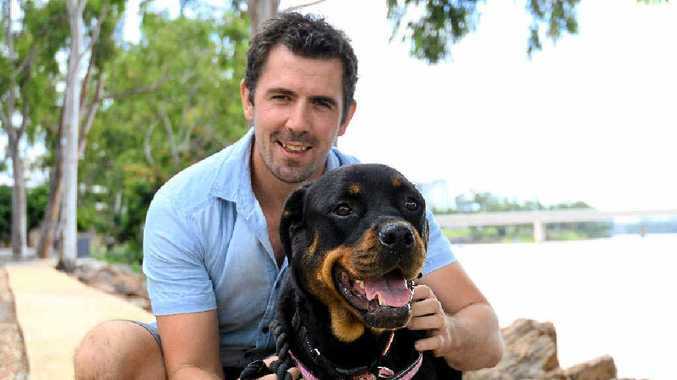 The Hobart man was on a month-long road trip to Cairns when he lost his dog Chloe in Bajool on Tuesday April 5, finally finding her four days later after an exhaustive social media campaign. The pair continued on their way on Monday, but Brendan realised something wasn't quite right with Chloe on Tuesday after they arrived in Cairns. "I've just been playing with her and noticed some things not quite right. I found a puncture wound and a swollen lymph node which means it is infected," he posted to social media. "Unfortunately Chloe has experienced some trauma in the bush and there are a number of puncture wounds on her body. It looks likely the dingoes attempted to bring her down." Chloe was taken straight to the vet. Yesterday Brendan said Chloe was on the road to recovery, and was up and about again, making friends across Cairns.